Aadhaar services disrupted in Pune - Aadhaar FAIL! e-Sakal has reported that outages and failures with the main Aadhaar data server are causing problems with Aadhaar enrolment in Pune city and suburbs. Official enrolment centers with a limit of 20 tokens a day are seeing crowds and queues from dawn, well before they open. Even after getting tokens, problems with capturing biometrics due to the outages are causing extensive difficulties for people who need to enrol or update their Aadhaar. Setu Seva Kendras, Maha e-Swea Kendras, Municipal Corporation offices, post offices, panks and BSNL offices are all working, but technical failures are causing delays and scanning of biometrics is riddled with difficulties for both enrolments as well as “Update Client Life” services. 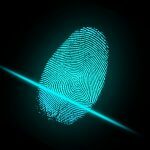 “Technical failure with SFTP server were resulting in computerized Aadhaar data of biometric entries not being updated on Aadhaar server. This was causing problems in enrolment and updation. The technical failure has been corrected and Aadhaar enrolment and UCL kit services are being restored.” ~ Vikas Bhalerao, tehsildar and Aadhaar nodal officer. Recently, Aadhaar services in Andhra Pradesh had also been suffering from “technical failures“. 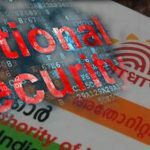 UIDAI admits risk of misuse of Aadhaar, asks banks to be vigilant.